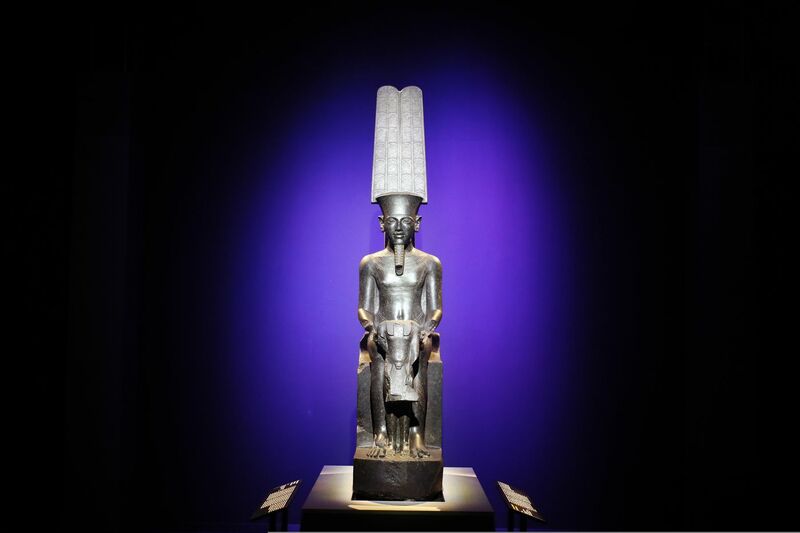 PARIS (AP) — Original artifacts from Tutankhamun's tomb are on display in Paris in an exhibit celebrating the centenary of the discovery of the most famous pharaoh's treasures. Some items are returning to Paris more than 50 years after a similar exhibit attracted 1.24 million visitors, a record that still stands for the French capital. Organizers say more than a third of the artifacts are leaving Egypt for the first and last time before going to a new museum being built near the Giza Pyramids in Egypt. Tutankhamun's tomb was discovered in 1922 by British archaeologist Howard Carter, about 3,400 years after his death. The exhibit “Tutankhamun, treasures of the golden pharaoh” is on view at Paris’ Grande Halle de la Villette from March 23 to Sept. 15, the second stop on a 10-city international tour.